The Center for African Cultural Excellence promotes contemporary African ideas through the arts and culture, specifically the Writivism Literary Initiative, which runs two literary prizes, coordinates an online mentoring programme, publishes annual anthologies, and curates an annual literary festival in Kampala (with outreach activities for schools, hospitals and markets), in collaboration with established writers, publishers, festivals, blogs, universities, nonprofits, philanthropists, podcasts, media outlets and other players in the African literary and arts community. 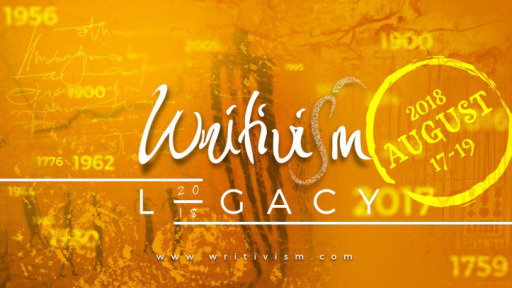 The Writivism Short Story and Koffi Addo Prizes only accept hitherto “unpublished” entries from writers living in an African country, who have not published a single-authored book by August of the prize year. This includes self-publishing, even if only on one’s blog or social media micro-site, and all forms of creative work. The age and citizenship of the emerging writer does not matter, they consider the nationality of the writer and residence in an African country during the prize year. In the instance that one’s story is shortlisted, or that they win a prize, they are only able to fund travel from an African country, to Kampala for the festival, and to Stellenbosch for the residency. At the moment, they consider only works in the English language, and only accept translated work (into English) where the author and translator are the same person. In other words, submit a translated entry only when it is your own original composition in its first language, and you translated yourself, to English. The story should be at least 2500 words, and maximum 3500 words. Every writer can submit only one entry for each prize. A double submission to both the short story and nonfiction prizes is encouraged, but strictly only one entry for each. All submissions must be made using this form. All information that we need will be asked for on the form. They therefore expect, and require winners to have a complete draft of a manuscript within one month of winning the prize, so that arrangements for the writing (editing) residency can commence soon. Theyrequire that the publishing rights for the debut manuscript of a winner of our prizes are by the fact of submission, offered to our publishing partner. Click here for more information and how to submit.